Tonight I was going to post about all of the coffee gift cards that I gave away last month, unfortunately Mother Nature has her knickers in a knot again about something or other and is unleashing her fury by way of a cold spell. Seriously, what did you all do to to warrant such punishment? Also, in case you haven’t noticed, I feel quite comfortable placing the blame squarely on everyone else’s shoulders seeing as the weather out here on the west coast isn’t too bad. Being the considerate gurrl that I am, I thought I’d post my Canadian Cold Weather Survival Guide for Commuters (catchy title, right?). Scientists have debunked the myth that we lose 40% of our body heat via our heads. That being said, they still can get cold so avoid the brain freeze and put on a hat. 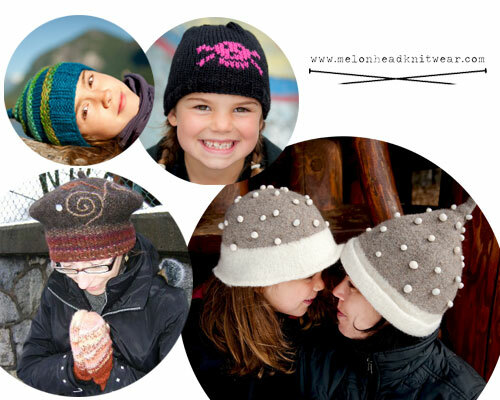 If you don’t have a toque, enter my contest and you could win one, courtesy of MelonHead KnitWear. 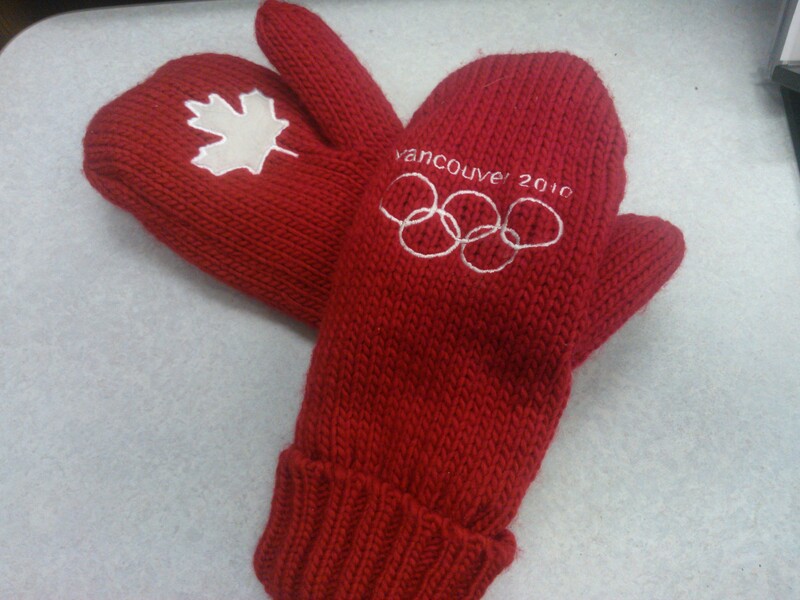 Here in Vancouver, the Canadian Olympic mittens were all the rage during the 2010 games. Sochi is just around the corner and you don’t have to be Canadian to wear them so pick yourself up a pair or two. Did I mention that all the cool kids are wearing them? You want to be a cool kid, don’t you? Keeping your insides warm is just as important as keeping your outside warm. 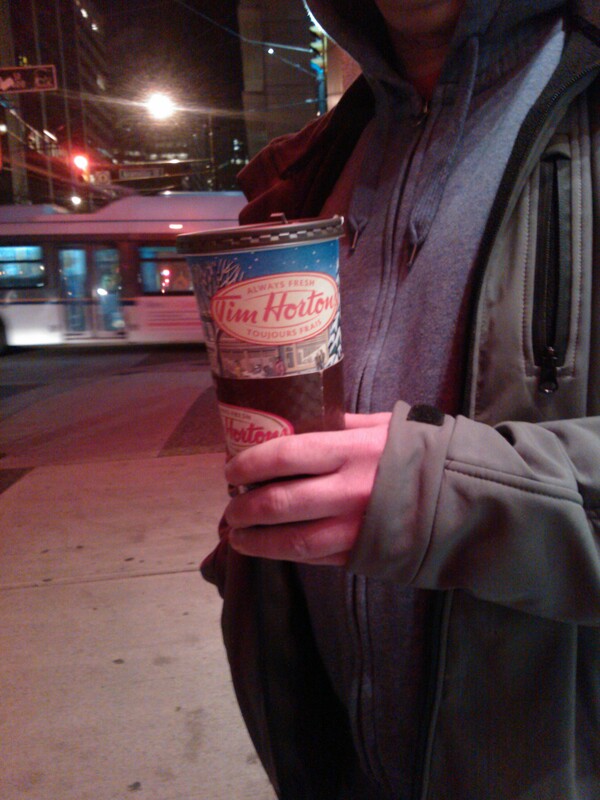 In Canada the coffee of choice is Tim Hortons, or Timmies, if you’re a local. If you’re not Canadian and find yourself in a Timmies, you’re going to have to know the lingo. A large Double Double is a large coffee with double cream and double sugar. Got it? Chances are that your commute will take you longer than normal in bad weather so turn on the tunes to help the time go faster. Last but not least, do yourself a favour and pick up a turtle light. Visibility in cold, snowy weather can be challenging so help the drivers out there by letting your little light shine. So there you have it – stay warm, stay safe, and remember to enter my Transit Gurrl Pour it Forward Contest. The contest is open to everyone around the world and the rules are as easy as one, two, three! Like the Transit Gurrl page on Facebook. Post your good deed(s) on the Transit Gurrl Facebook page by January 31, 2014. Including a pic of your good deed is strongly encouraged. This entry was tagged bus, Canada, Canada Line, coffee, cold, commute, commuter, freezing, ipod, mother nature, MP3, Olympics, Random act of kindness, Skytrain, Sochi, Tim Hortons, Timmies, toque, transit, translink, Vancouver, west coast. Bookmark the permalink. ← Did Somebody Say Prizes? Question: for us non-Canadians, what is a turtle light? It’s a small light that can be attached to everything from a zipper pull to bicycle handlebars. Go to mec.ca to learn more about them. 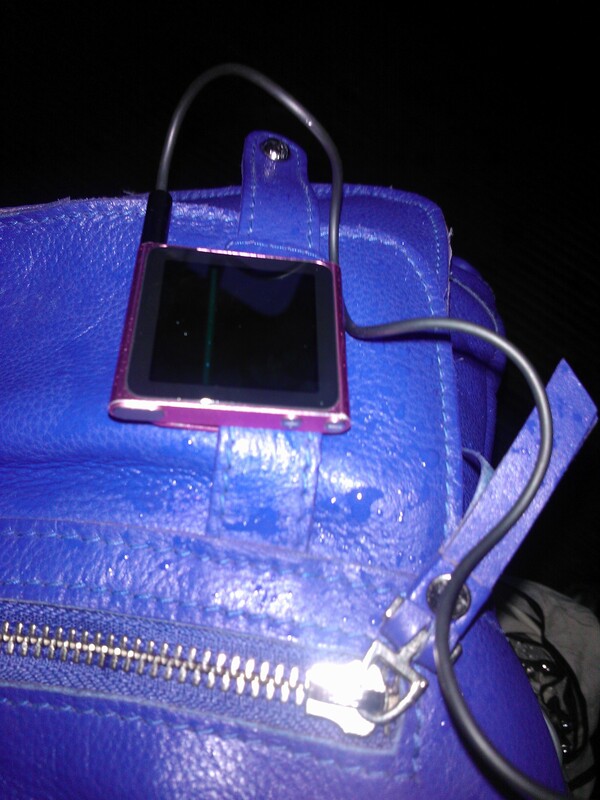 ****Hint, hint, hint, there may be one in my contest prize pack…. I’m sorry but I won’t be entering. I do have facebook but I make it a point to use only for family and people I interact with in person. I will try and do a good deed anyway, though. Here’s my good deed. I am a tour bus driver. Yesterday I dropped a couple, post- day tour, off at the airport terminal on my way back to the depot. It wasn’t on my way at all but it was a public holiday, traffic was light and I didn’t like to think of them trying to kill six hours with two large cases.